Birds love coneflowers, and they will love this bright pink coneflower birdfeeder. Also available in blueberry pie color, this durable steel bird feeder stake is made to withstand the elements. If you would like to feed the squirrels too just add nuts or sunflower seeds. Size: 14" wide x 36" high. Birds love coneflowers, and they will love this bright blue coneflower bird feeder. Also available in bright pink, this durable steel bird feeder stake is made to withstand the elements. If you would like to feed the squirrels too just add nuts or sunflower seeds. Size: 14" wide x 36" high. Bright yellow sunflowers attract the birds, so why not feed them when they visit? 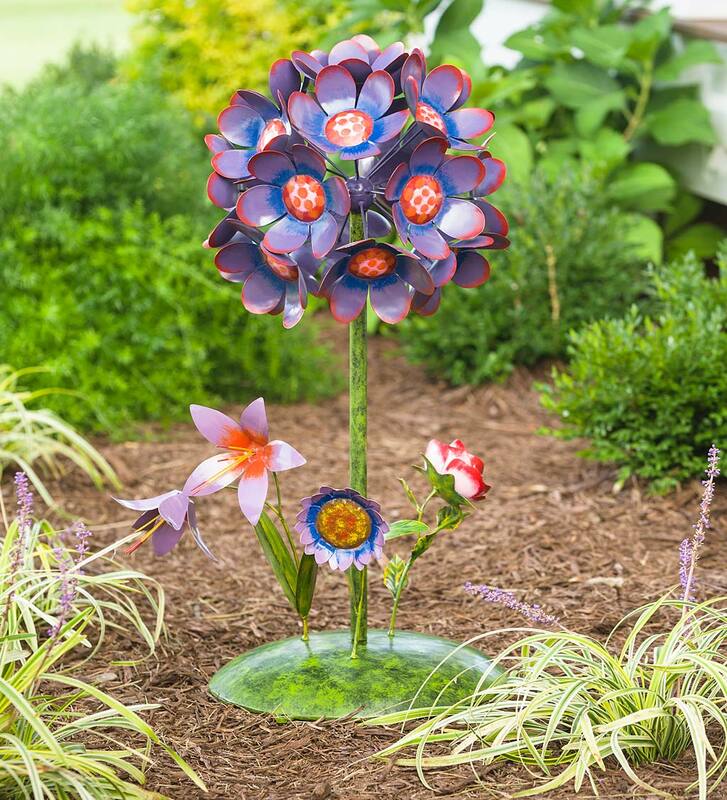 A beautiful garden decoration and a bird feeder in one! This durable bird feeder is made from all weather powdered steel and won’t rust/corrode. Size: 14”W x 42”H.